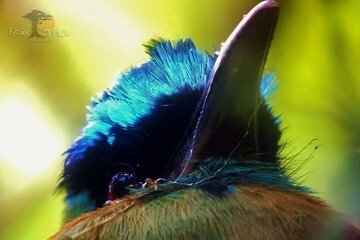 Entrez dans un paradis pour les amoureux des oiseaux dans la forêt de nuage de Monteverde lors de cette excursion ornithologique de 2 heures et demie en début de matinée. Avec jusqu'à 450 espèces d'oiseaux, dont le rare quetzal resplendissant, Monteverde est un terrain de jeu naturel pour les amateurs de la faune et de la flore, et votre guide expérimenté fera en sorte que vous en voyiez le plus possible. Ne focalisez pas vos jumelles uniquement sur la cime des arbres, car il n'est pas rare non plus d'apercevoir des singes capucins, des coatis, des agoutis et des cerfs. Out of all our tours in Costa Rica, this one did not meet expectation. Would like to point out that we walked along side of a paved road for first half of the tour which certainly we did not expect, and then stopped at Monteverde Cloud Forest Reserve Hummingbird gallery which we could have easily done on our own - next half of the tour was on some private property for which the tour claimed entrance fee was included and there were no clearly marked trails and walked through thick bushed/vegetation at times which we thought was dangerous as other tours were particular about staying on the trails so we dont step on snake etc. Guide was polite but did not communicate well - overall, i think this tour was not value for money and may be misleading entrance fee...to where?. Jorge our tour leader was very knowledgeable about the location and the types of birds we were spotting. He was extremely friendly and helpful with our spotting and photography. The pickup from our lodging was very helpful, and the tour ended with breakfast at one of the best breakfast locations in the area. We had a wonderful time on our tour. Our guide Jorge was funny, kind, and went out of his way to give us a great tour. The morning started with a stop at the entrance to the Monteverde Cloud forest in the hopes of finding a Resplendent Quetzal. While we were unsuccessful, the effort was much appreciated. We then went to the nearby Ficus Trials where we saw some great species including a Keel-billed Toucan and a Long-tailed Manakin which Jorge hadn't seen in months. Luck us! We stopped at a vista that looked over the cloud forest and the surrounding landscape. The morning finished at the local birder friendly bakery. There they have feeders that attract Orioles, Tanagers, Motmots, and more! We would definitely recommend Jorge for future tours!